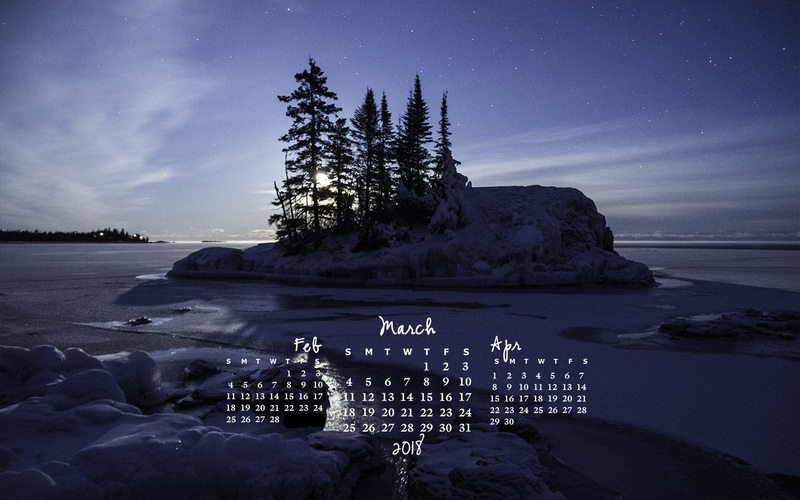 Did you seen the blue moon in January? Did you know there will also be one March 31st? 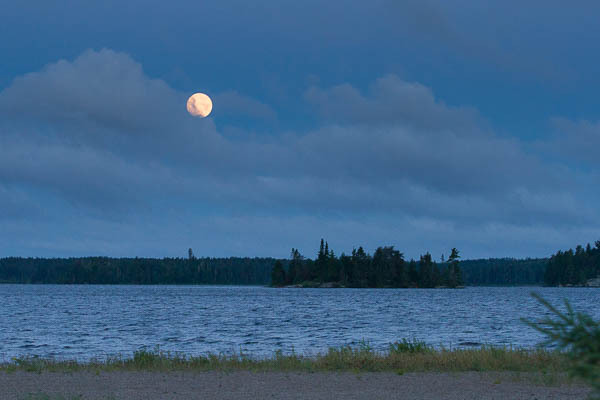 Although this is not the blue moon nor during the ‘blue hour‘, the very blue scene is the moon rising over an island just off the shore of Lake Superior a little north of Grand Marais, MN. I was fortunate to attend an Outdoor Photography class with Bryan Hansel in early February. Bryan kindly shared some of his incredible knowledge of photography and some of his favourite locations along the north shore. We were thrilled to have a clear night sky for this outing. I still have much to learn and know better for future shots to lower my ISO in order to have a less grainy image. 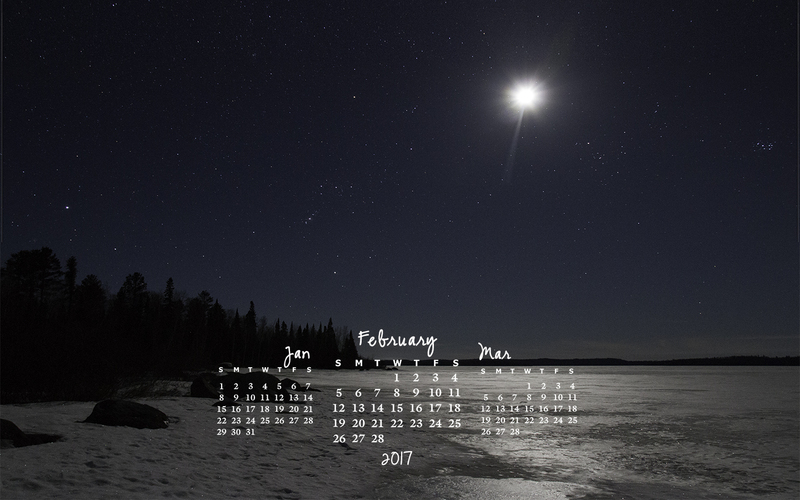 For the romantic (Valentine) month, I selected a shot of the full moon in a clear sky over a still, frozen lake. This sky was one I enjoyed last winter when I was out at Sandbar Lake Provincial Park to capture northern lights. The moon definitely stole the show. Enjoy. I love the moon. 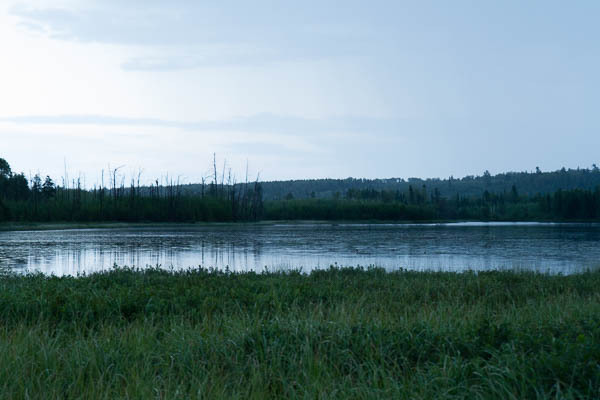 One of my favourite scenes is the reflection of the moon (in any phase) dancing on the water. 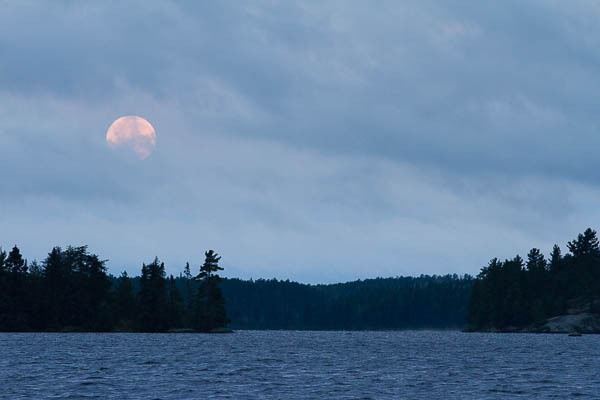 I love to chase its cycles in anticipation of capturing a beautiful moon rise or set. 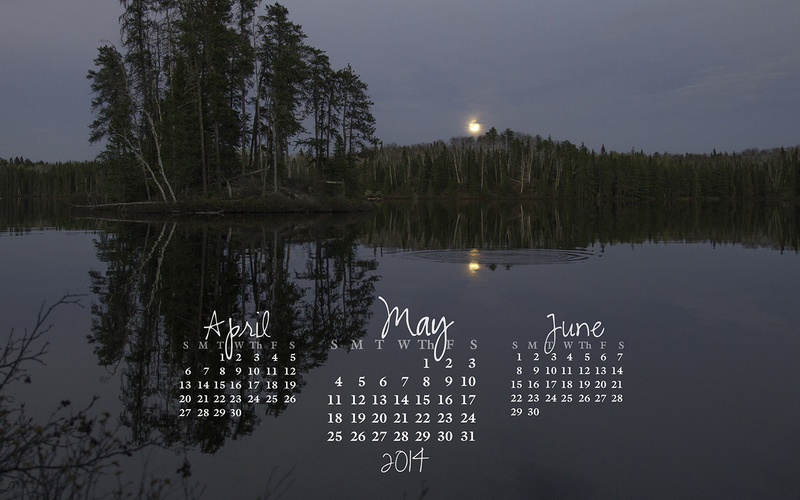 The date of the next full moon is always on my radar. When it is likely to be rising or setting around sunset or sunrise, respectively, I scout possible locations for an interesting capture. 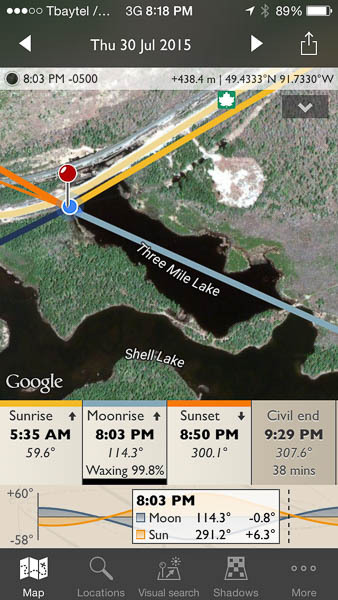 The Photographer’s Ephemeris is a great tool to virtually scout angles and times. 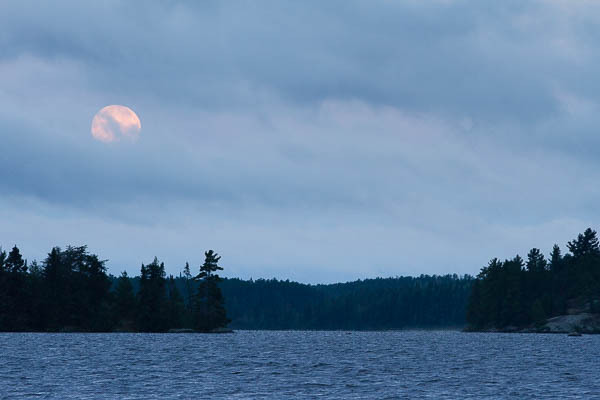 So the blue moon occurring July 31 looked like it could be worth trying to capture. The blue dot at the base of the pin is my location. 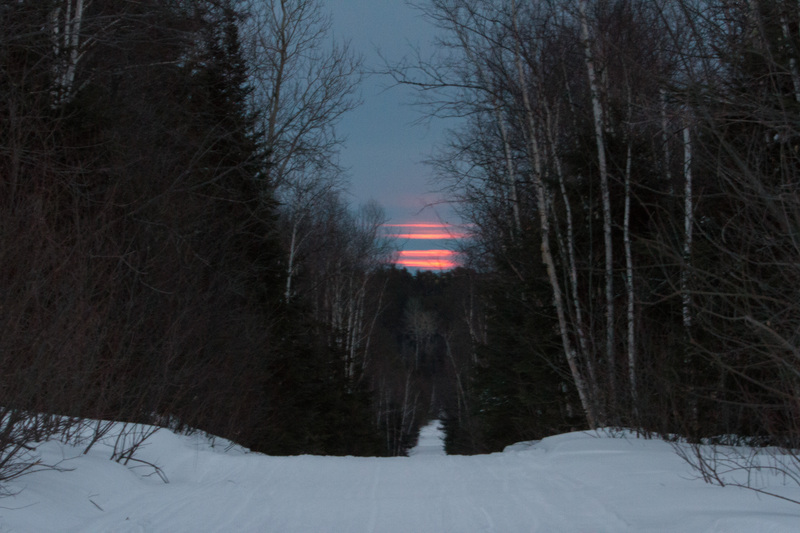 The blue line running from me to the right is the direction to look for the rising moon. 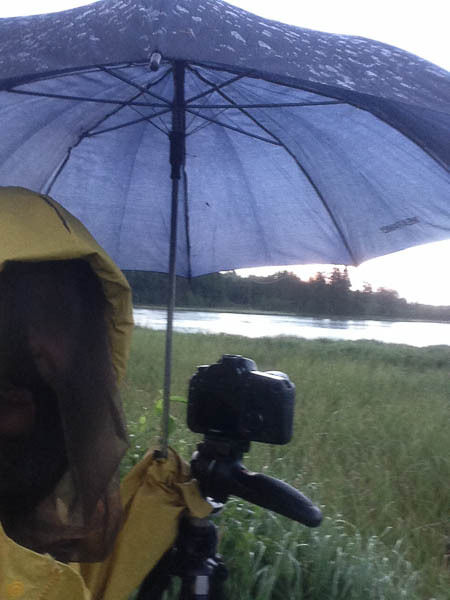 I geared up with raincoat, bug jacket, rubber boots and umbrella. All were essential for comfort and survival this particular evening! Here I am at the site. It poured! Then broke off and threatened more. And I mean threatened; thunder and all. So I packed it in and headed home hopeful for a morning chance at the moonset over Agimak. (Note the time at the top of the screen shot below. Yes, I got up just after 5 to get there and set up.) 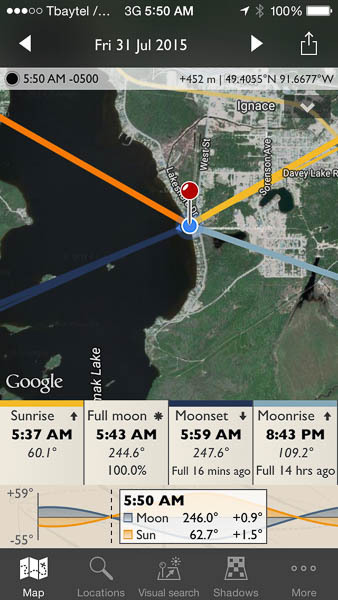 The dark blue line is the moonset direction from Agimak Beach. The moon should be setting directly between the two islands. When I got the beach the clouds were starting to move in. It was 14C and breezy. I’m pretty certain I had the line right. The moon would have dropped exactly where I expected. I just didn’t get the proof. You can bet I will be chasing the moon again when it rises tonight! 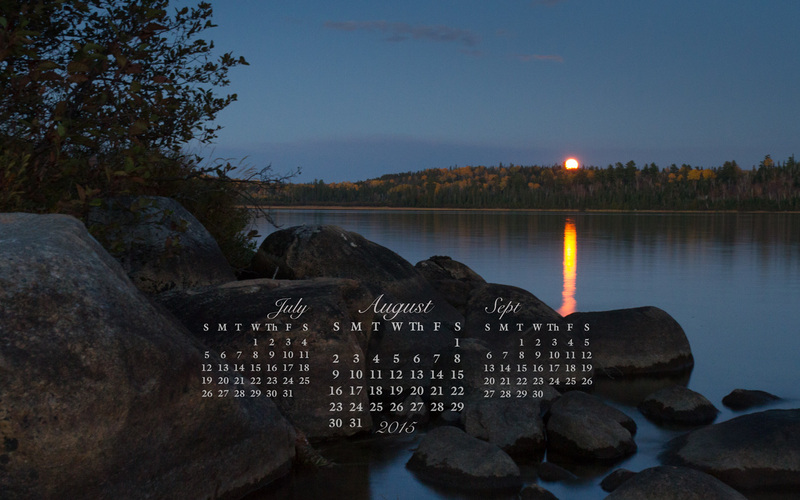 Since I didn’t get the shots I hoped for the August desktop calendar, I pulled a moon shot from my collection. 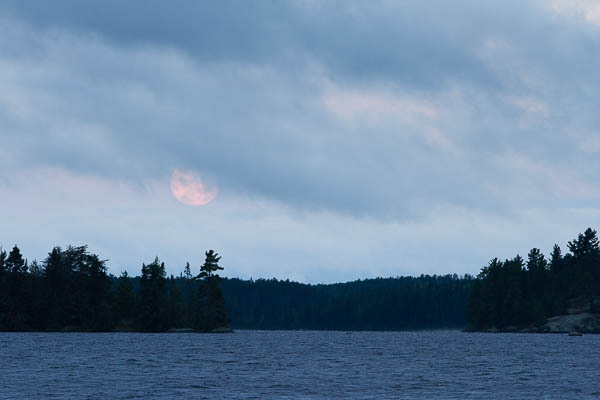 This one is a moonrise I posted about in October 2012. Enjoy. 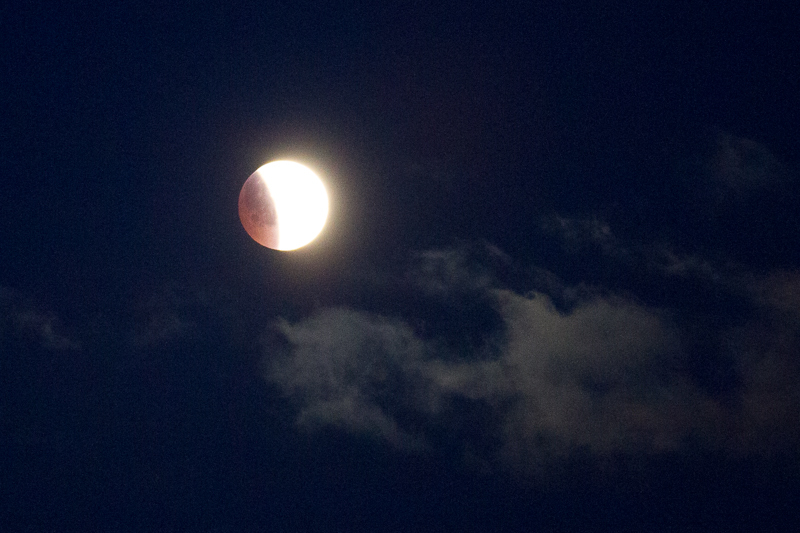 It was worth getting up early this morning to catch the lunar eclipse. A quick glance out the window confirmed the event was actually visible and under way. I had set up the camera and tripod the previous night so I wouldn’t have to fumble with gear at the sleepy hour of 5:30 am. I stepped out on to the landing, pointed the camera at the moon and set about getting a shot. 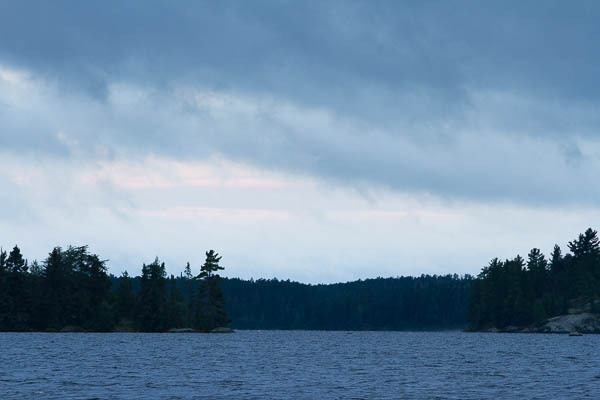 The air was a fresh -10C but reasonably calm; still chilly for one in a fuzzy robe and winter boots. After snapping a couple test shots, I headed back indoors, dressed more warmly and returned for more of the show. A system was moving in and just as the moon was half gone, it was all gone! I snuck back inside and curled up on the couch to watch for the cloud cover to break. After about a half hour, I gave up and climbed back into my toasty warm bed. Although we’ve had some spectacular snow days recently which I captured with my camera, I am certainly eager to look ahead to the liquid version of the lakes around me! So with memories of summers past and in anticipation of fish jumping, I offer the re-work of a moonrise shot from last summer at Raleigh Lake. Enjoy! Larger and specific screen resolution options are available here. For more about capturing this image last summer (in case you missed it) check out this post. 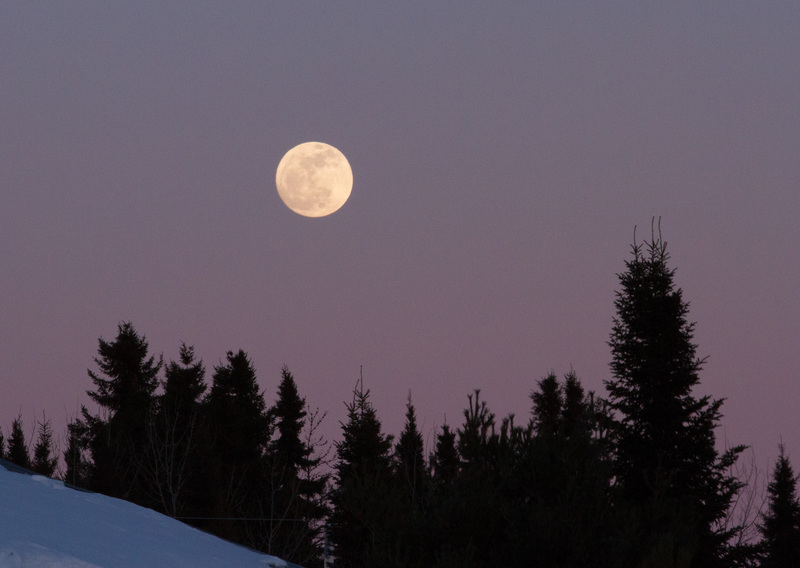 The moon reached fullness March 16th. In anticipation, I kept an eye on the eastern sky the day before, though I wasn’t very diligent (a casual glance out my front door). Then all of a sudden there it was! 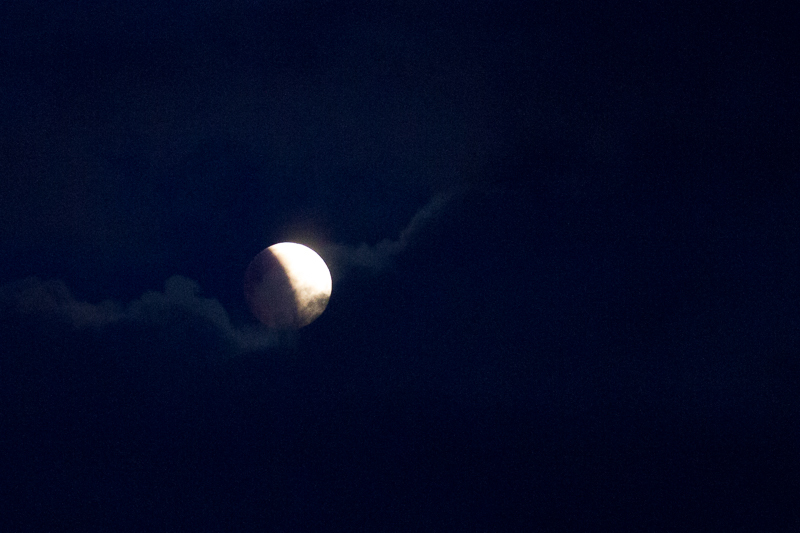 Although my camera was accessible, I couldn’t locate my tripod so snapped a quick hand held shot. Not bad. Lesson learned; sort of. I had 25 hours to gather my gear in preparation for the rise the next evening. According to my favourite photography app The Photographer’s Ephemeris, the moon was scheduled to rise an hour later which would make the sky and surroundings darker than the night before. The forecast was for cloud cover by sunset as another snow storm was moving in from the west. An hour before the scheduled moon rise, I headed out to locate a suitable angle for a shot assuming the gap between cloud and horizon would be sufficient. I had all but given up when I noticed a hint of colour. Although I had located and packed my tripod, I didn’t bring my remote shutter which would have given clearer shots. 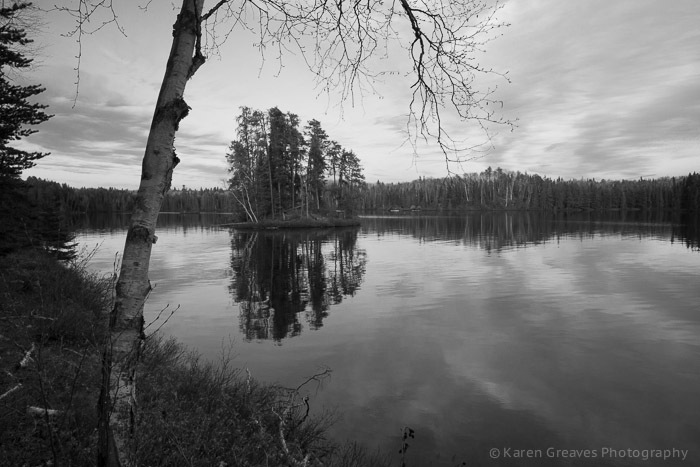 Photo Tip: When you don’t have a remote shutter, use your camera’s delay shutter option. My camera has a 10 second and 1 second option. I prefer the latter in this type of shot. Your camera should be on a tripod but can be propped up on something. Mittens or a jacket work well to create soft, flexible platform. The brief discomfort in the elements might be worth the shot captured. I will have to remember that next time.